Hi! 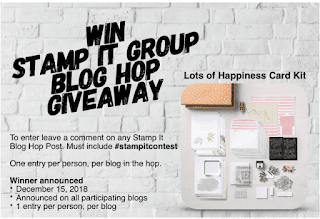 I'm a hobby demonstrator for Stampin Up! I figured I would at least get a discount on the products I love. Maybe one day after I get practice making cards, I may try to turn it into a supplemental income. For now, though, I'm enjoying my "me" time. Merry Christmas! Welcome to my blog! I am a hobby demonstrator in Alaska. I love card making! I hope you enjoy this card as much as I do. I originally intended to us the All is Bright suite, but ended up with a combination of suites with a completely different design than I originally thought I wanted to do. 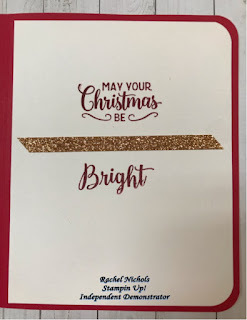 After stamping the card base on real red cardstock with the Making Christmas Bright string of lights stamp with Real Red ink, I layered the Joyous Noel copper glimmer paper on a real red cardstock base. A Christmas tree from the Ready for Christmas stamp set is stamped in Garden Green on Mossy Meadow and cut out using the Christmas staircase thinlets dies. 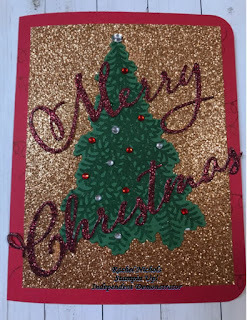 Layered on top of the tree is Merry Christmas from the Merry Christmas thinlets dies on the Merry Merlot glimmer paper. 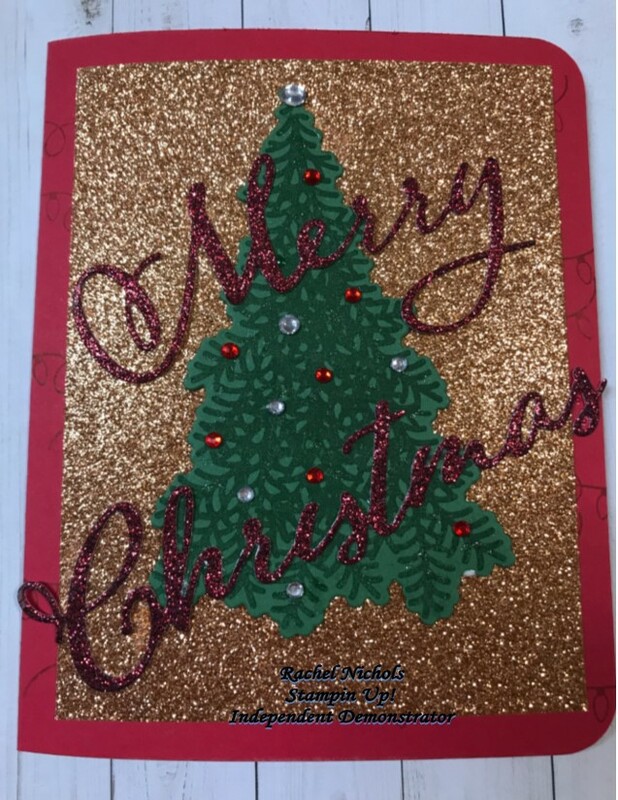 The Merry Christmas thinlets dies add the perfect elegant touch to my Christmas card. Decorate the tree with any embellishments you like, but I love the red and clear rhinestones. 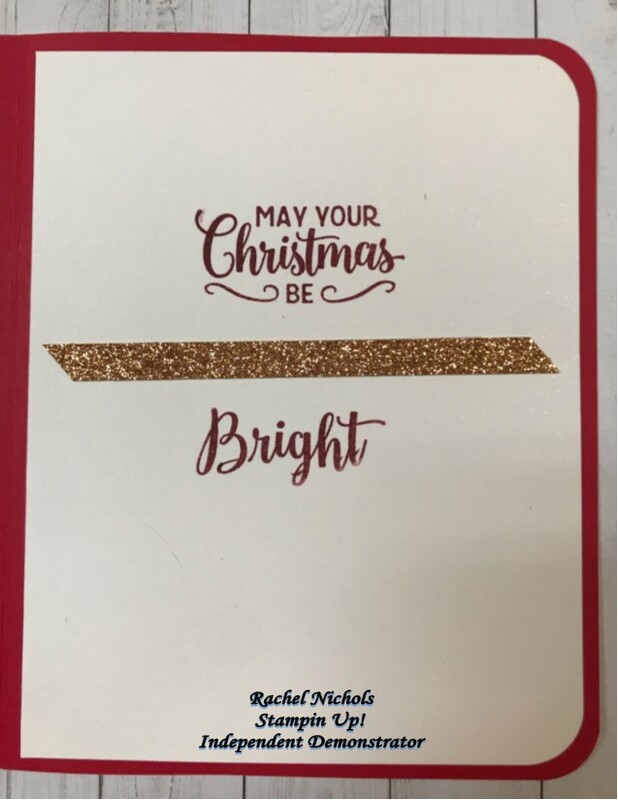 The inside sentiment from the Making Christmas Bright stamp set with a strip of copper glimmer paper between the two stamps continues the elegance from the front. The sentiment is stamped in Merry Merlot ink. 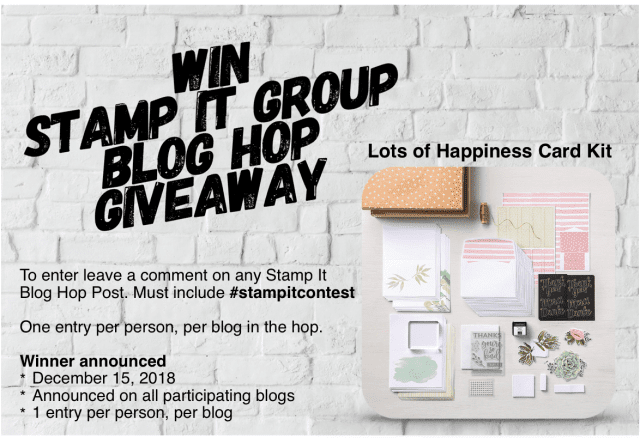 Contest and last month's winner!